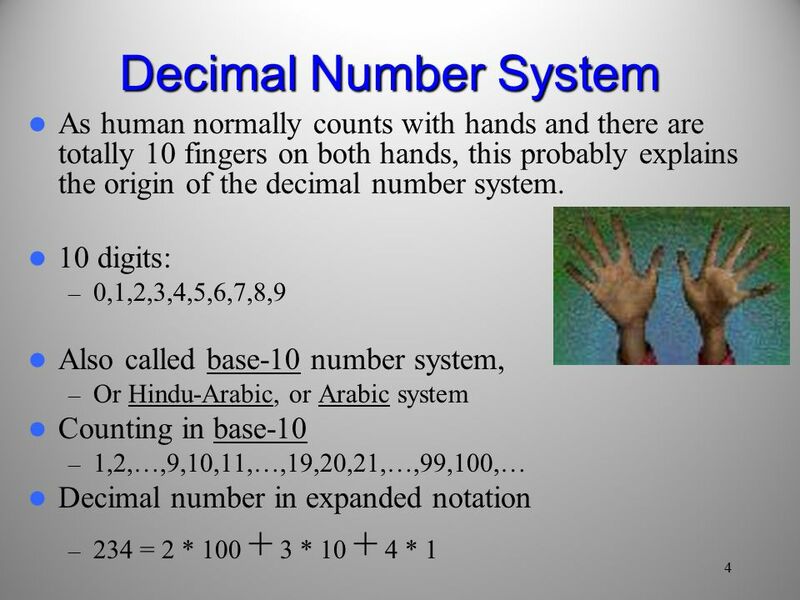 6 Fibonacci (1170-1250 CE) Italian mathematician, Leonardo Fibonacci (through the publication in 1202 of his Book of Calculation, the Liber Abaci) introduced the Arabic numerals, the use of zero, and the positional decimal system to the Latin world. 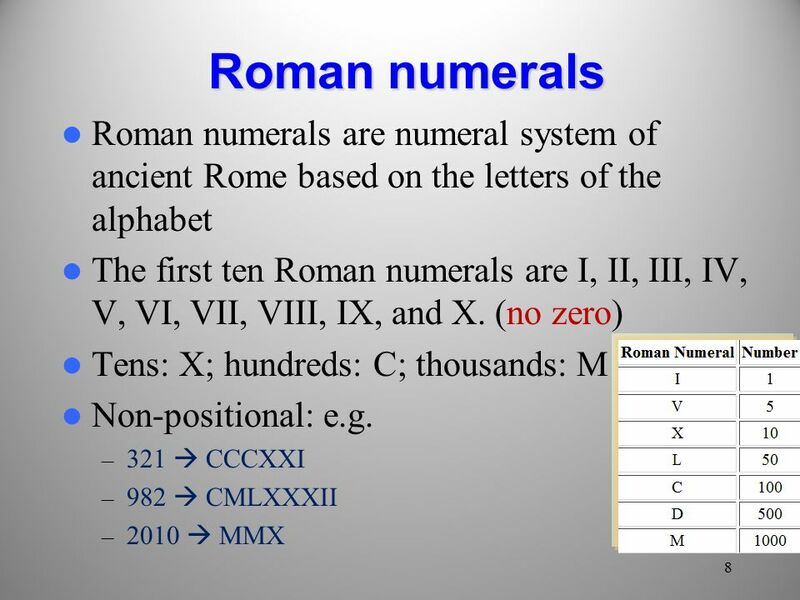 Liber Abaci showed the practical importance of the new numeral system, by applying it to commercial bookkeeping. 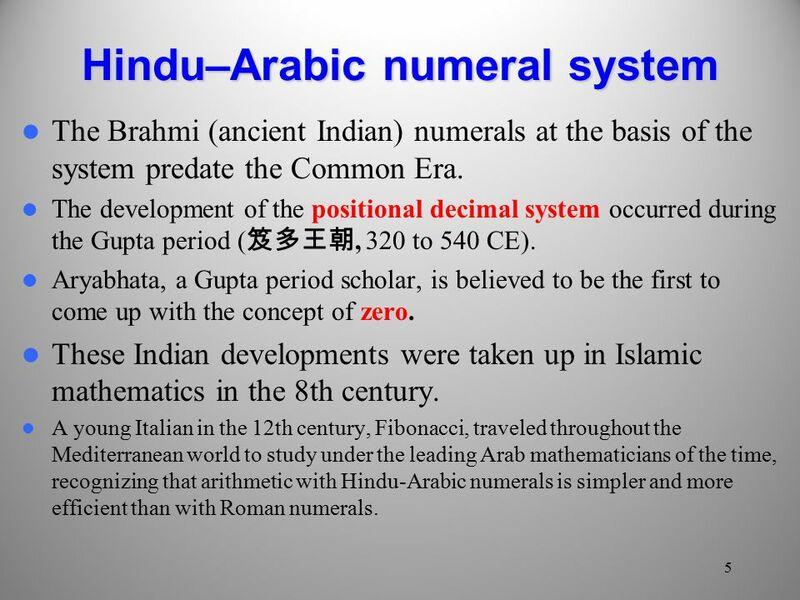 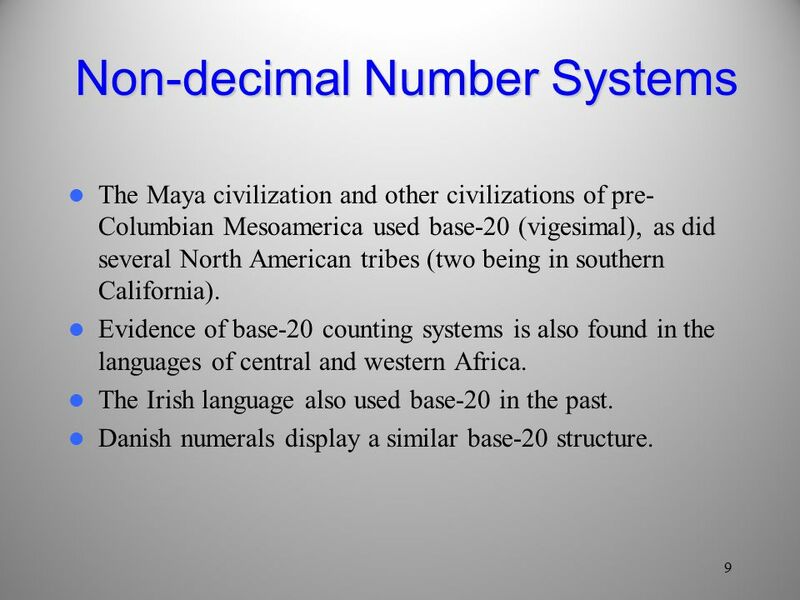 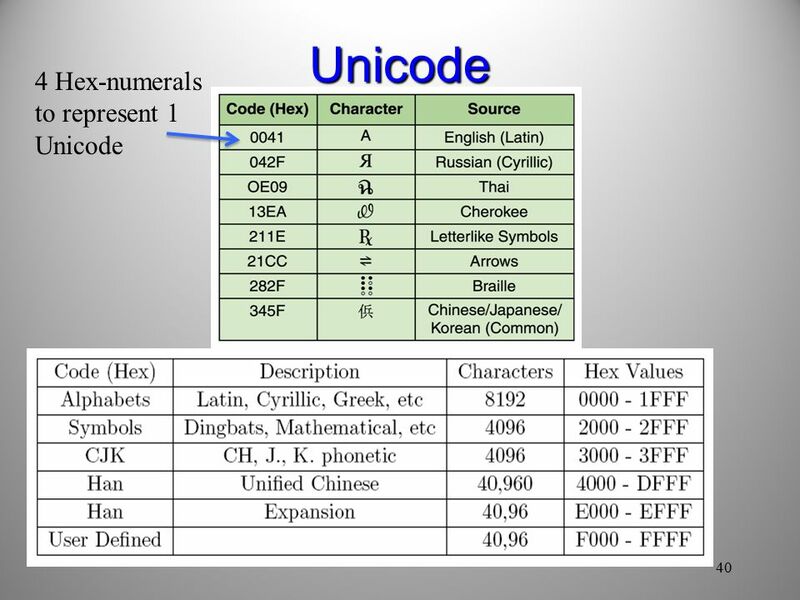 6 The numeral system came to be called "Arabic" by the Europeans. 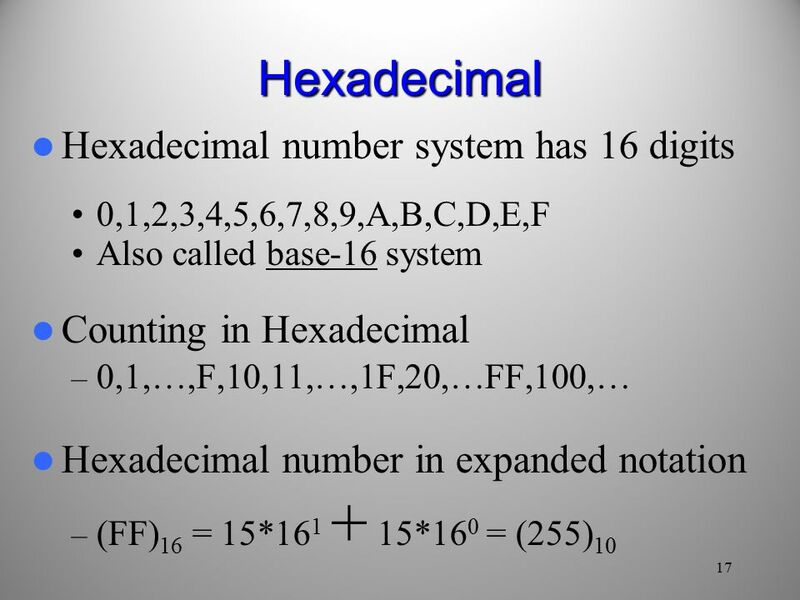 It was used in European mathematics from the 12th century, and entered common use from the 15th century. 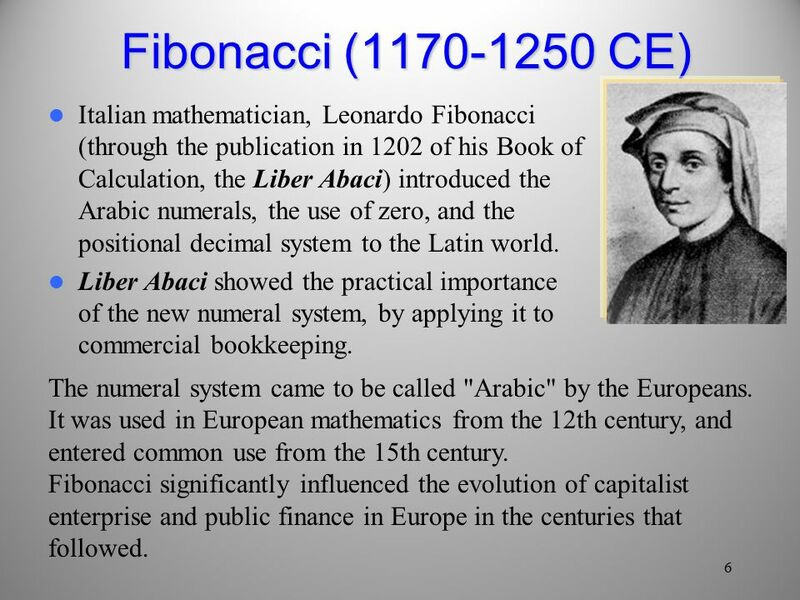 Fibonacci significantly influenced the evolution of capitalist enterprise and public finance in Europe in the centuries that followed. 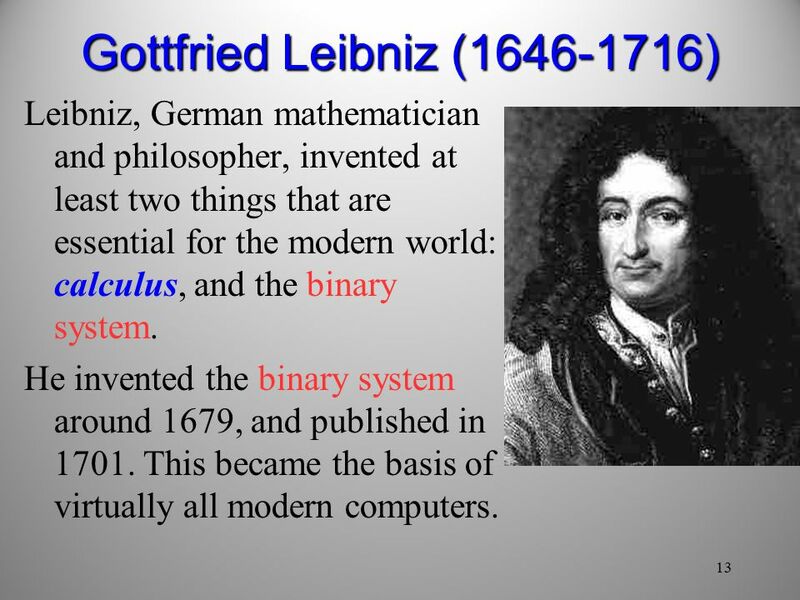 13 13 Gottfried Leibniz (1646-1716) Leibniz, German mathematician and philosopher, invented at least two things that are essential for the modern world: calculus, and the binary system. 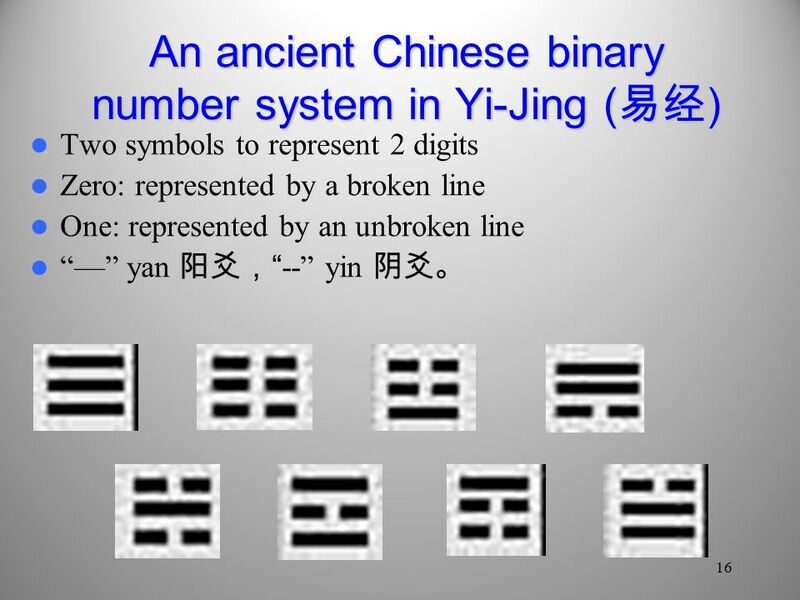 He invented the binary system around 1679, and published in 1701. 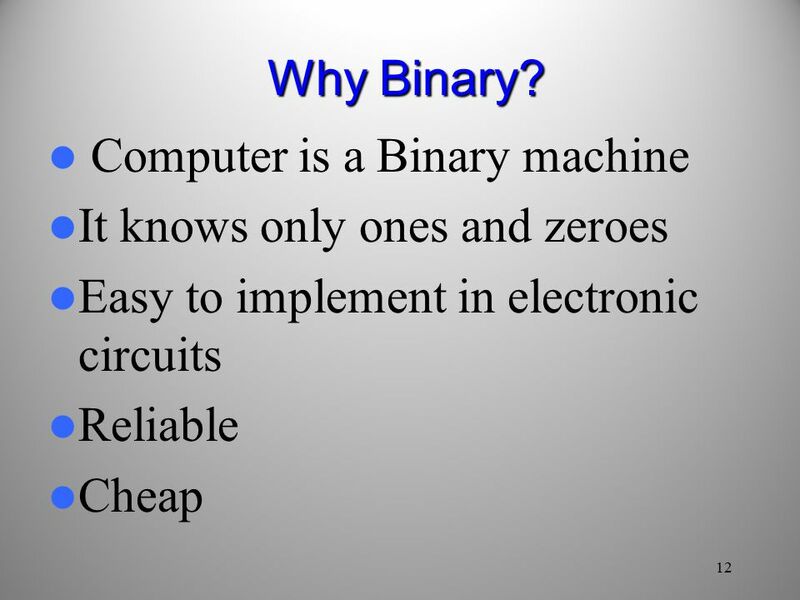 This became the basis of virtually all modern computers. 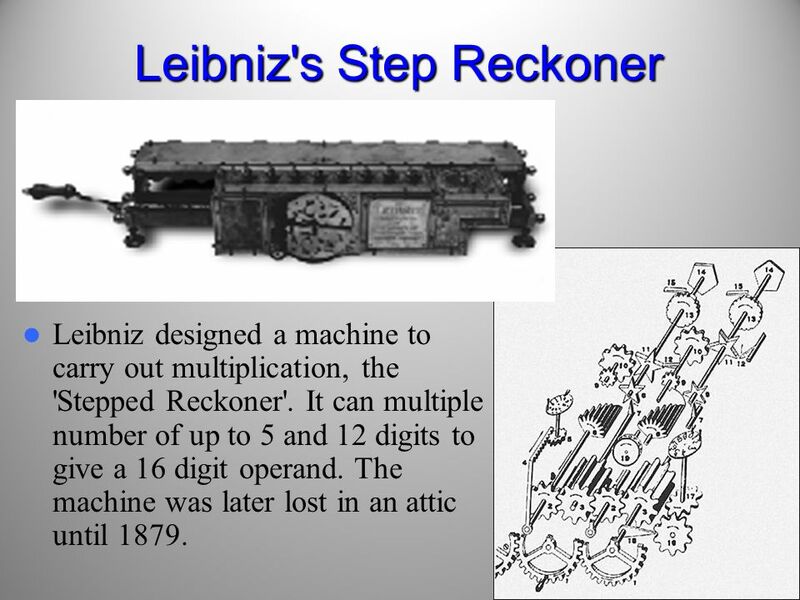 14 14 Leibniz's Step Reckoner Leibniz designed a machine to carry out multiplication, the 'Stepped Reckoner'. 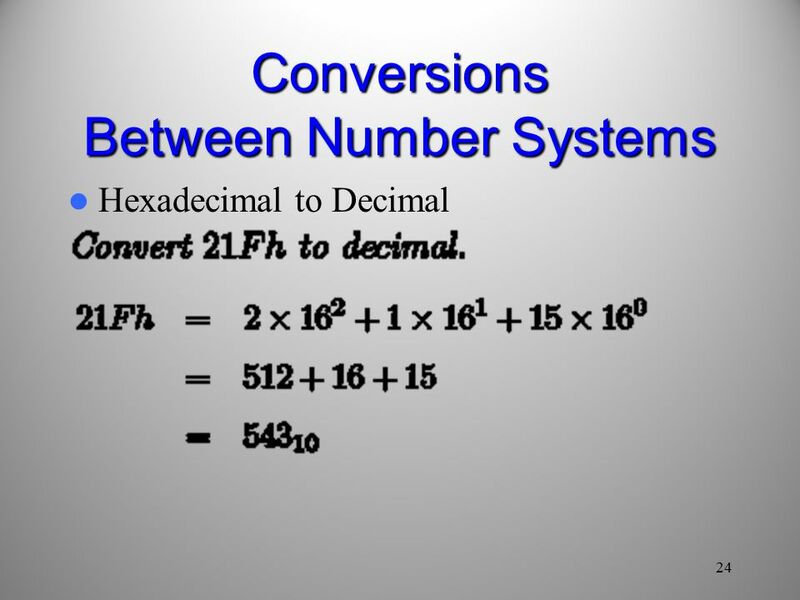 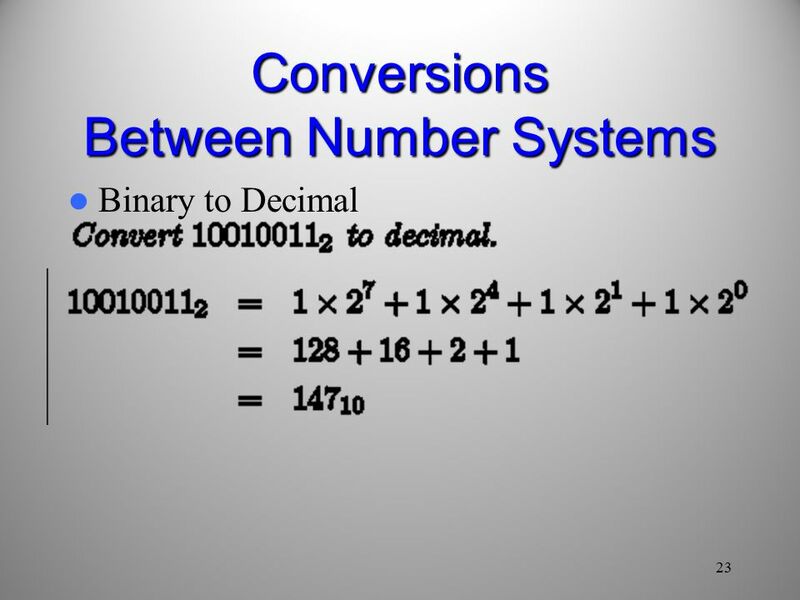 It can multiple number of up to 5 and 12 digits to give a 16 digit operand. 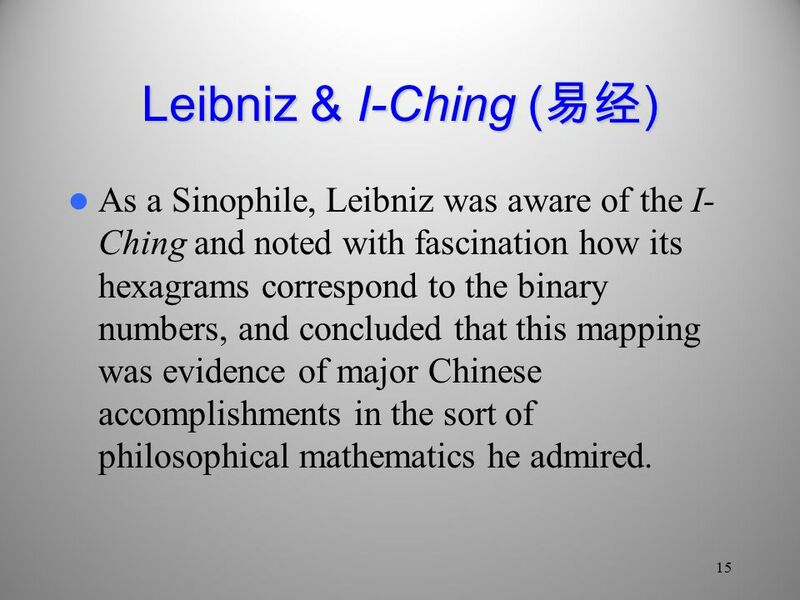 The machine was later lost in an attic until 1879. 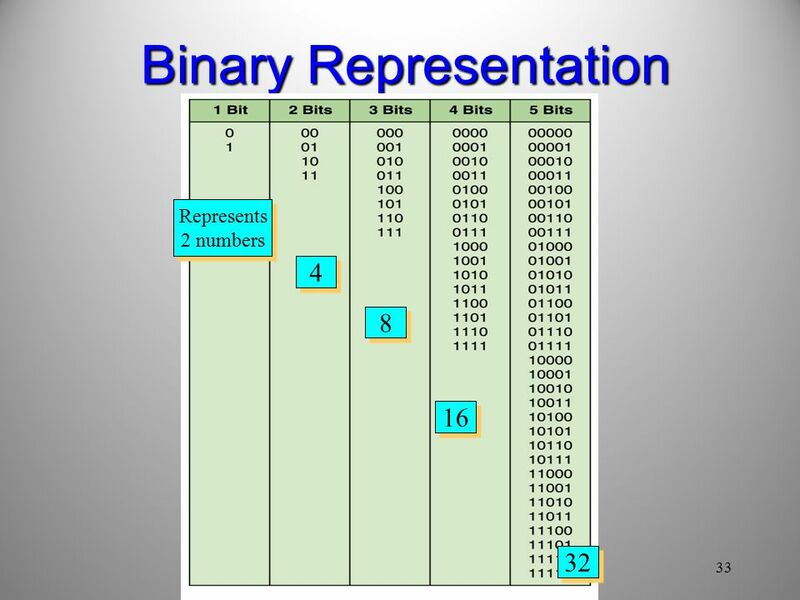 31 31 Digitized Information Computers, cannot work with analogue information So we digitize information by breaking it into pieces and representing those pieces separately Why do we use binary? 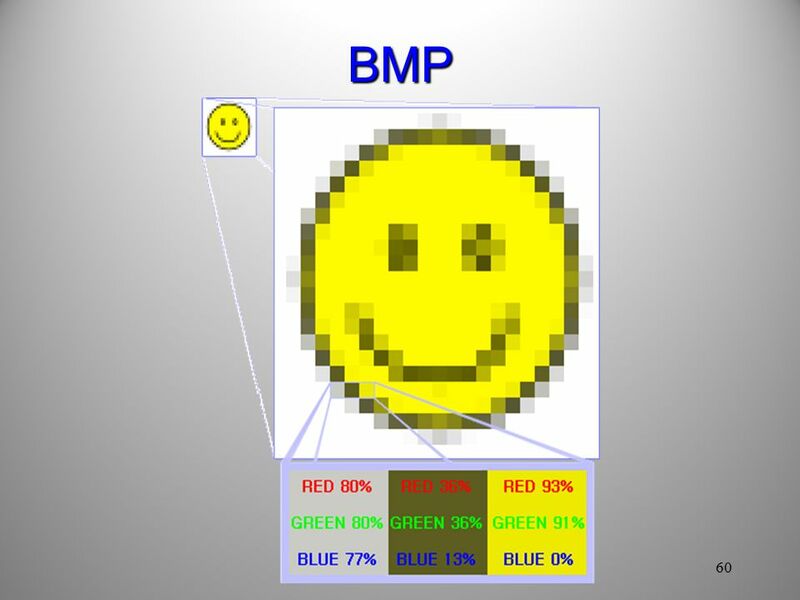 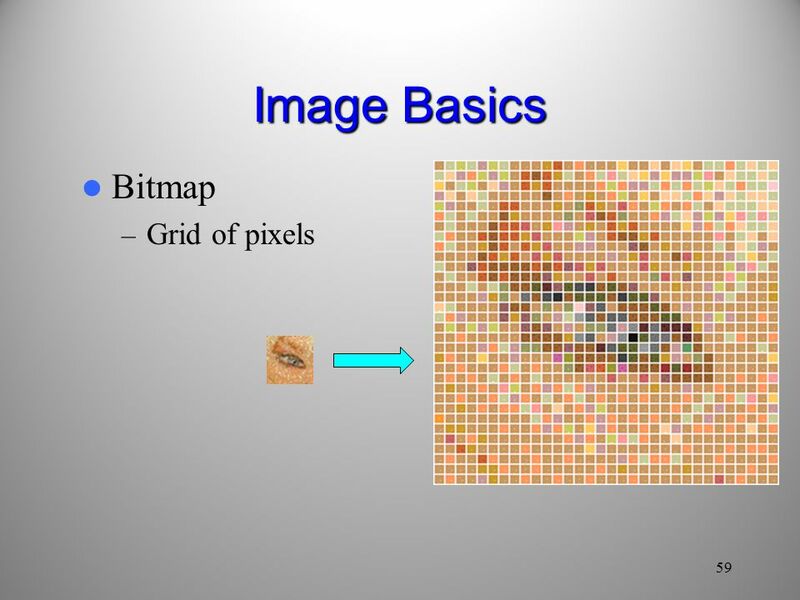 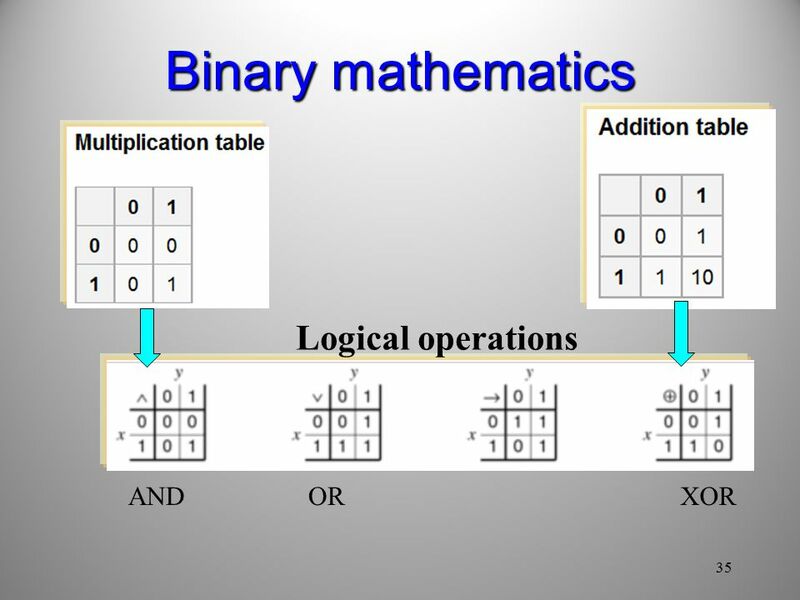 – Modern computers are designed to use and manage binary values because the devices that store and manage the data are far less expensive and far more reliable if they only have to represent one of two possible values. 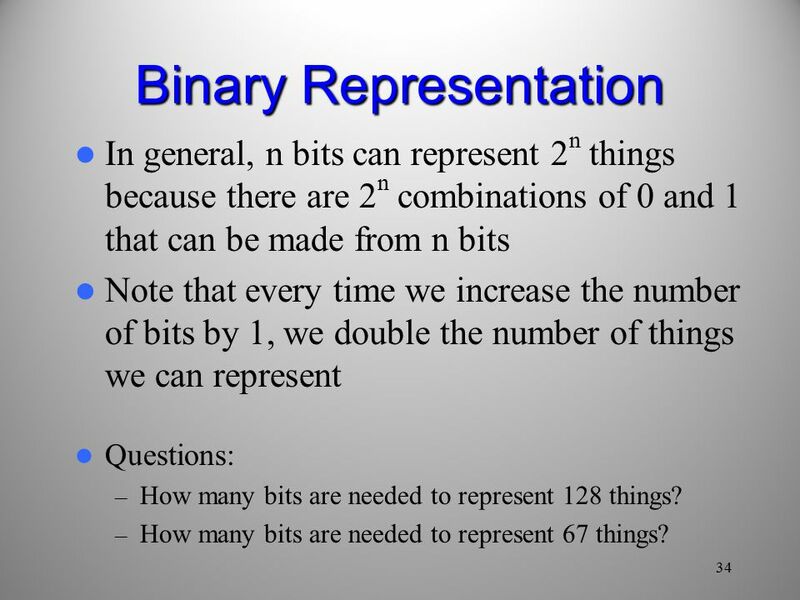 34 34 Binary Representation In general, n bits can represent 2 n things because there are 2 n combinations of 0 and 1 that can be made from n bits Note that every time we increase the number of bits by 1, we double the number of things we can represent Questions: – How many bits are needed to represent 128 things? 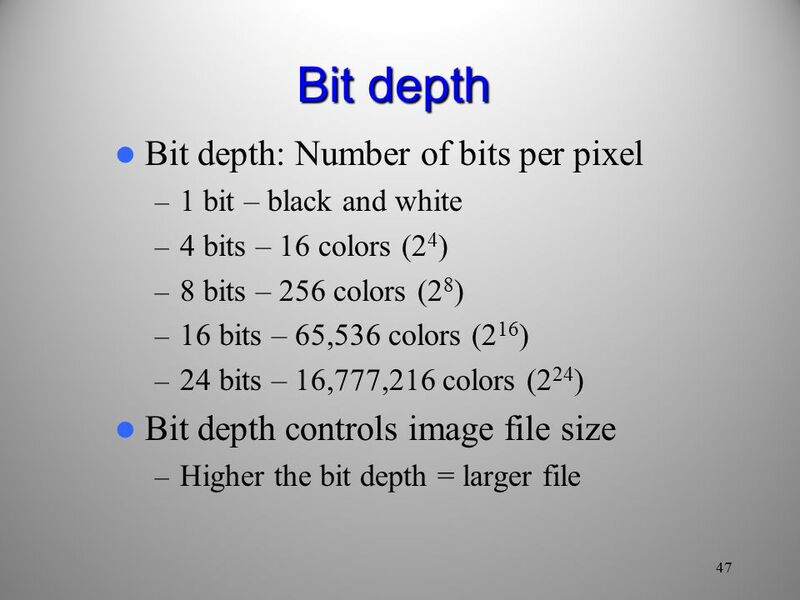 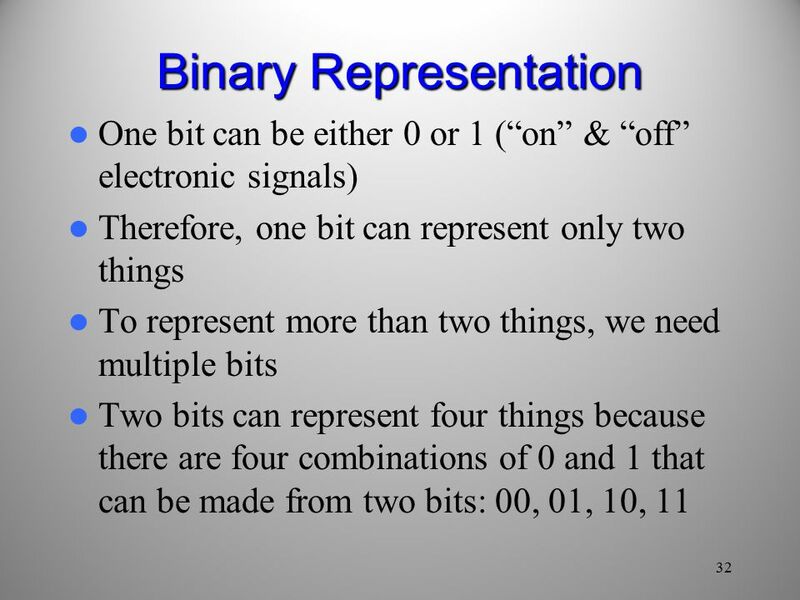 – How many bits are needed to represent 67 things? 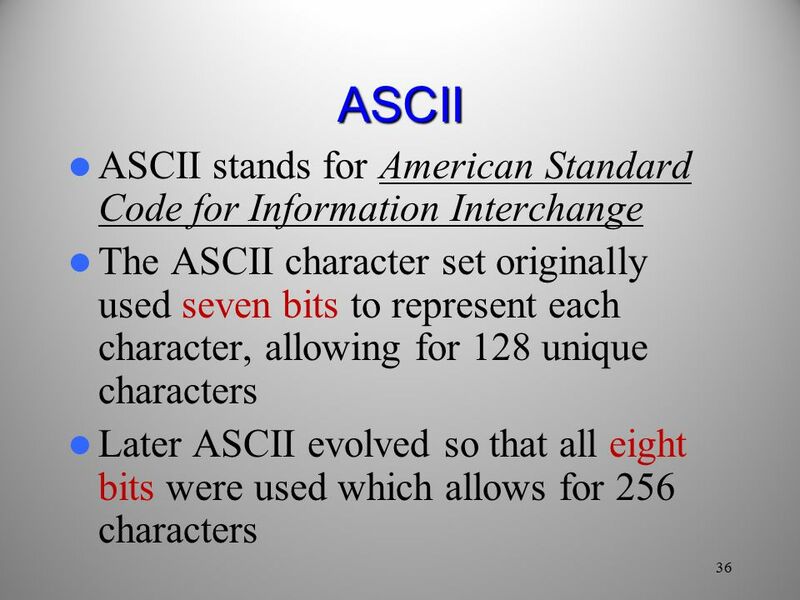 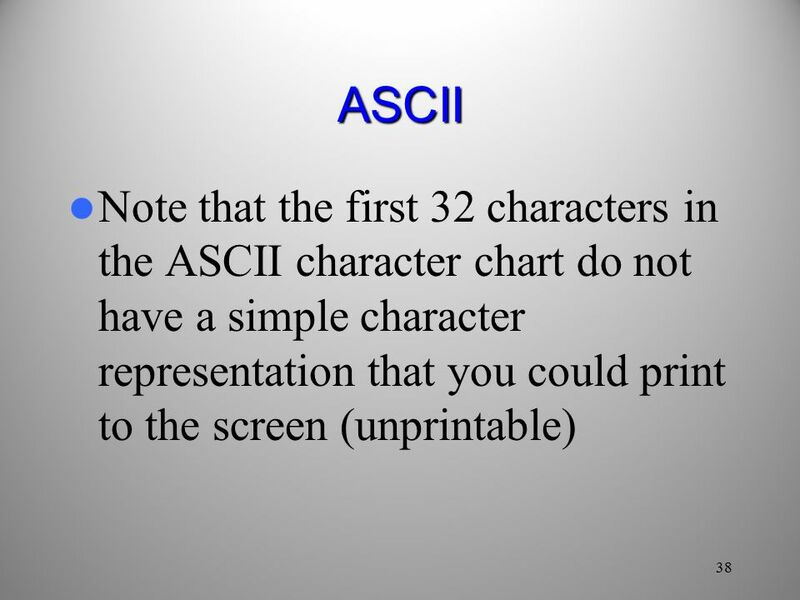 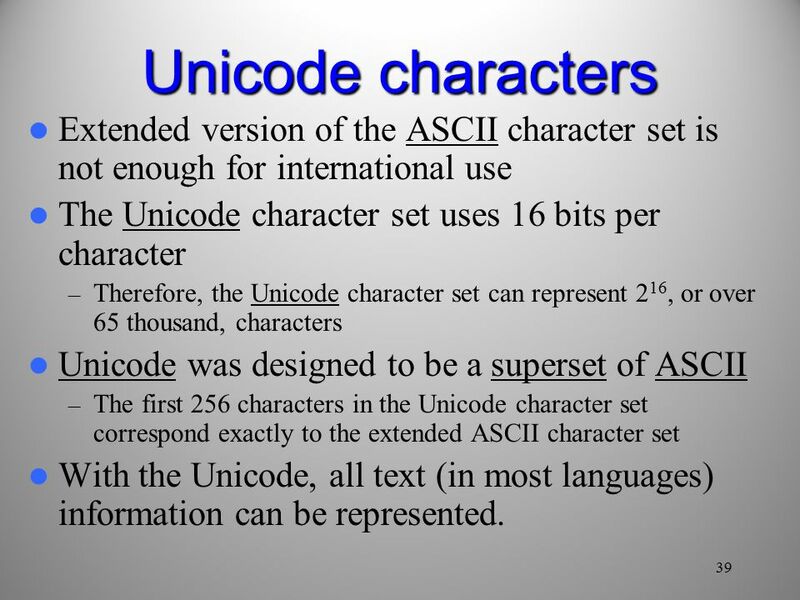 39 39 Unicode characters Extended version of the ASCII character set is not enough for international use The Unicode character set uses 16 bits per character – Therefore, the Unicode character set can represent 2 16, or over 65 thousand, characters Unicode was designed to be a superset of ASCII – The first 256 characters in the Unicode character set correspond exactly to the extended ASCII character set With the Unicode, all text (in most languages) information can be represented. 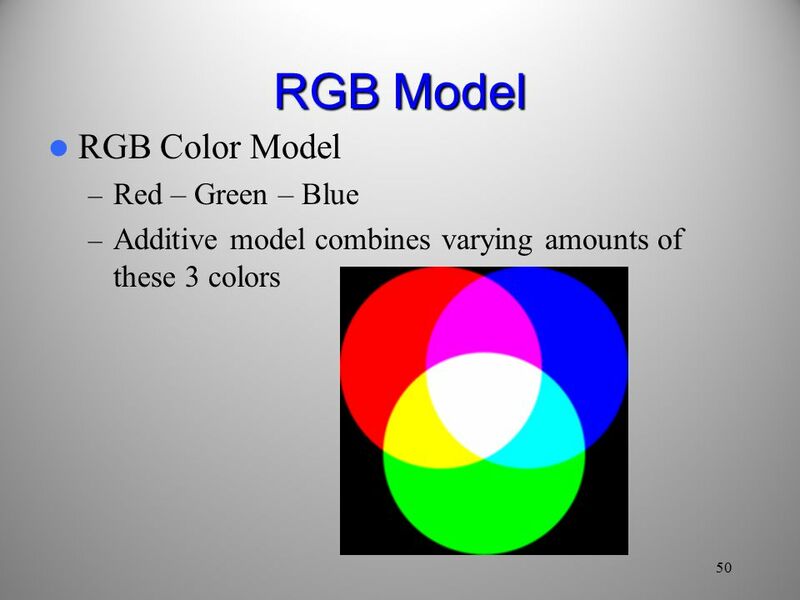 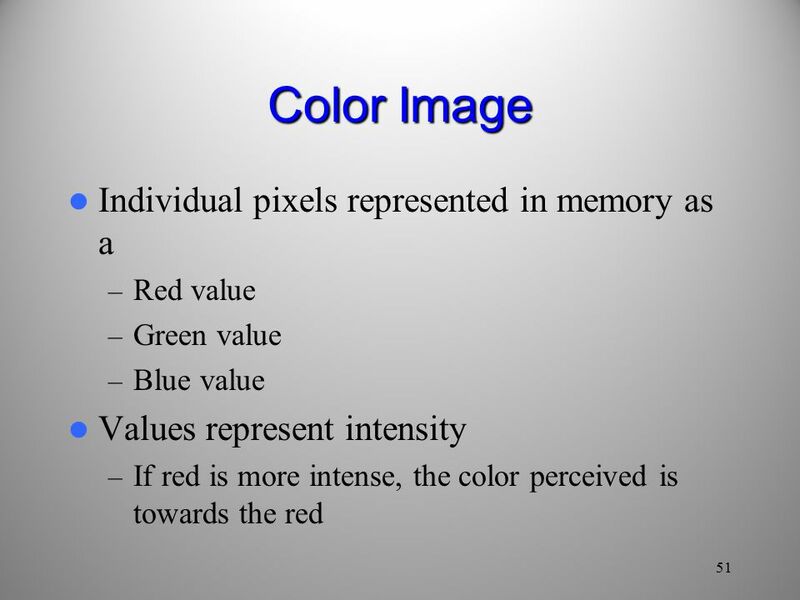 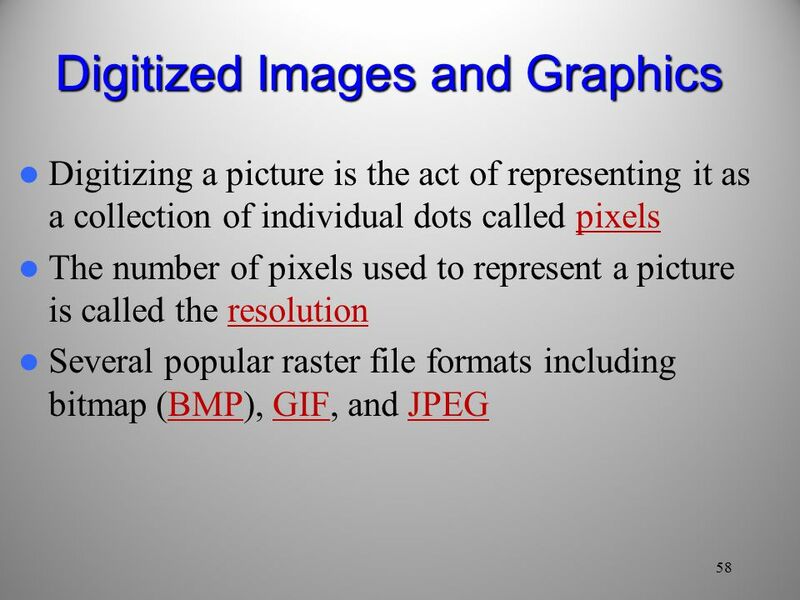 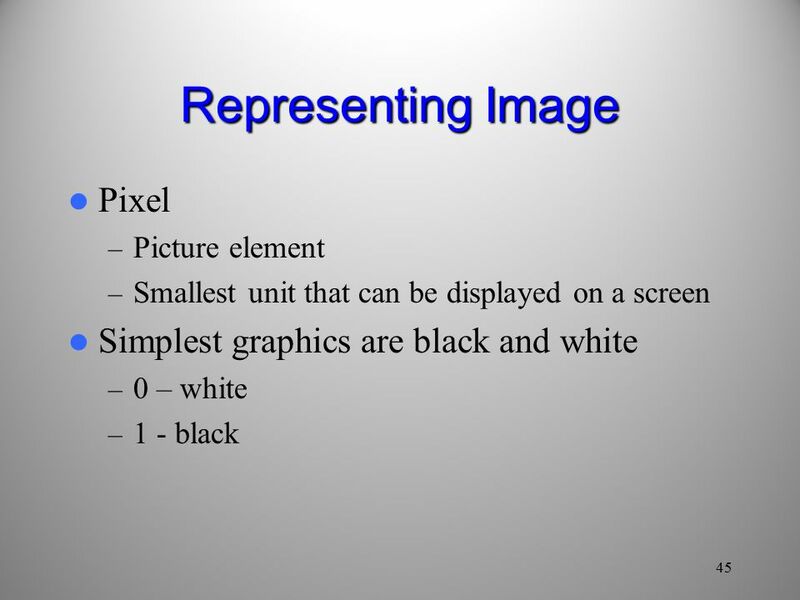 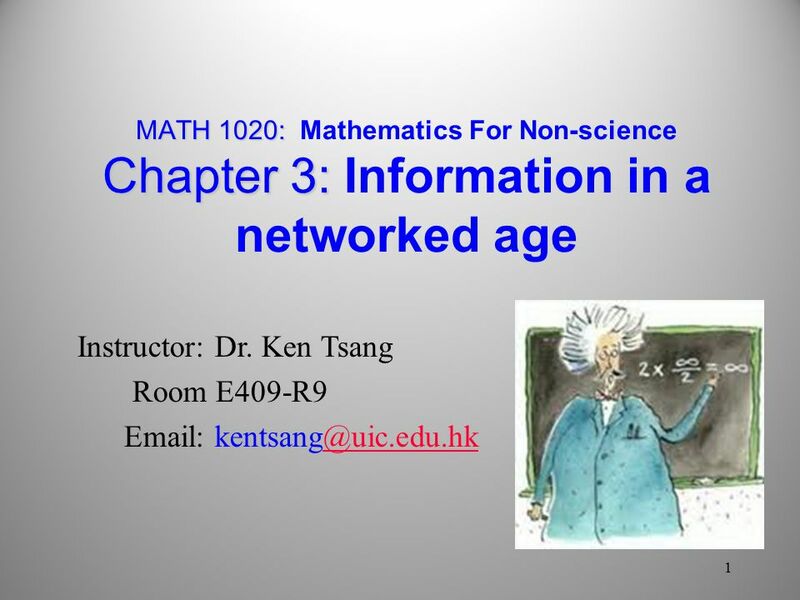 Download ppt "MATH 1020: Chapter 3: MATH 1020: Mathematics For Non-science Chapter 3: Information in a networked age 1 Instructor: Dr. Ken Tsang Room E409-R9 Email:"
Technology ICT Option: Data Representation. 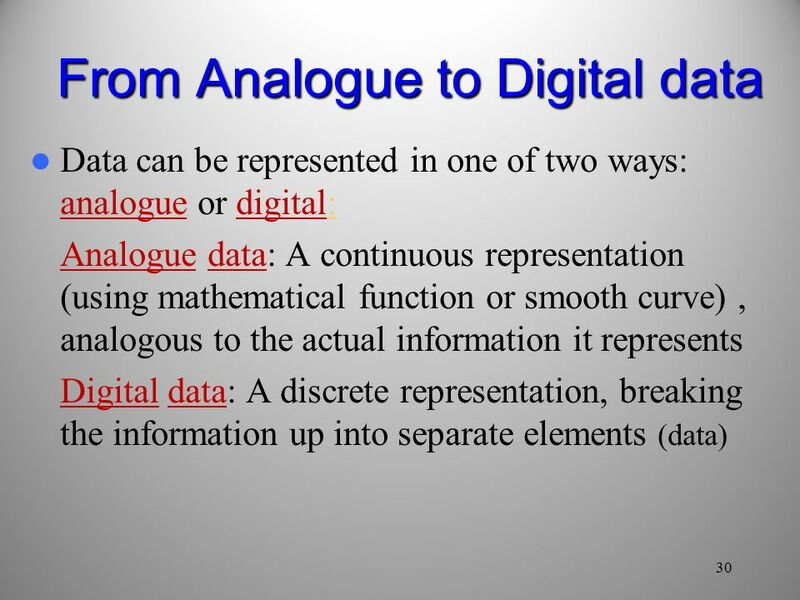 Data Representation In our everyday lives, we communicate with each other using analogue data. 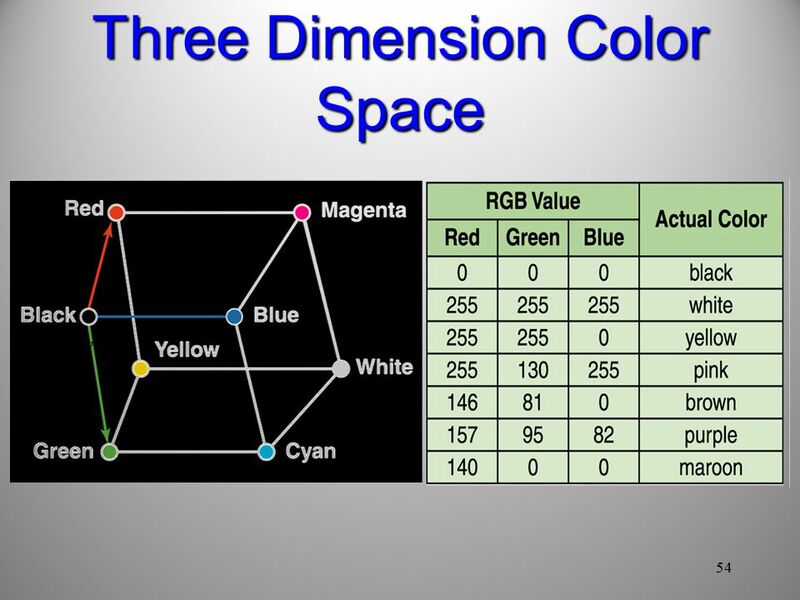 This data takes. 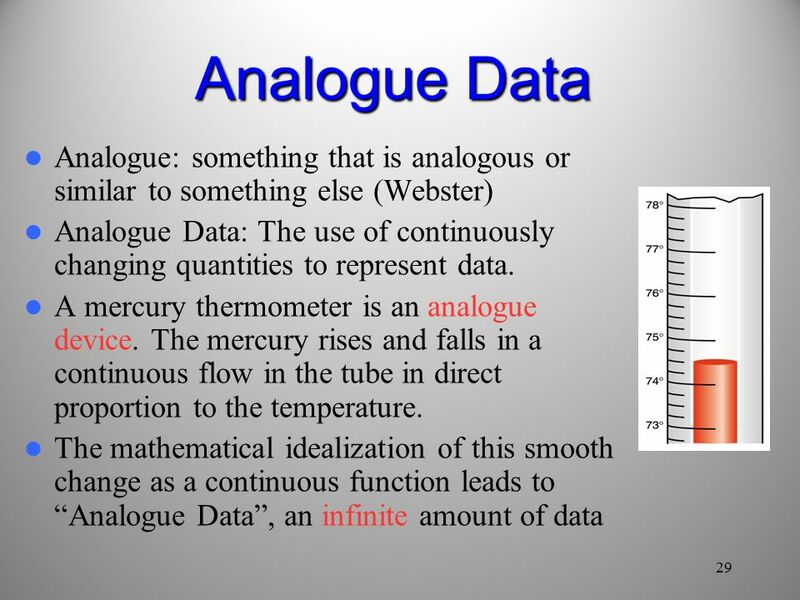 Chapter Chapter Goals Distinguish between analog and digital information. 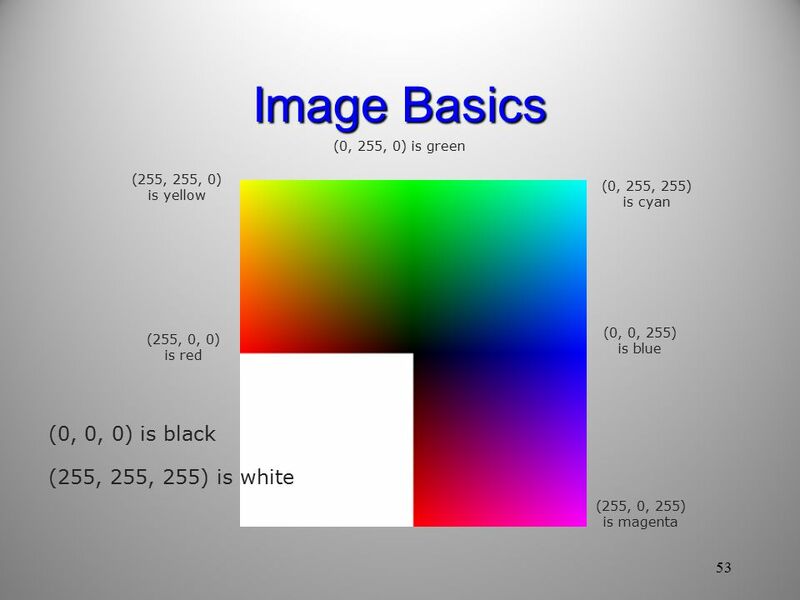 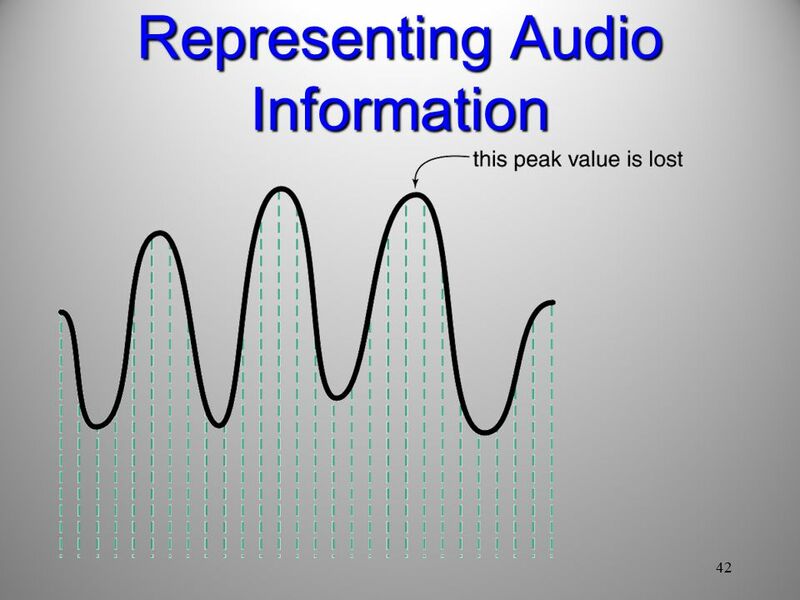 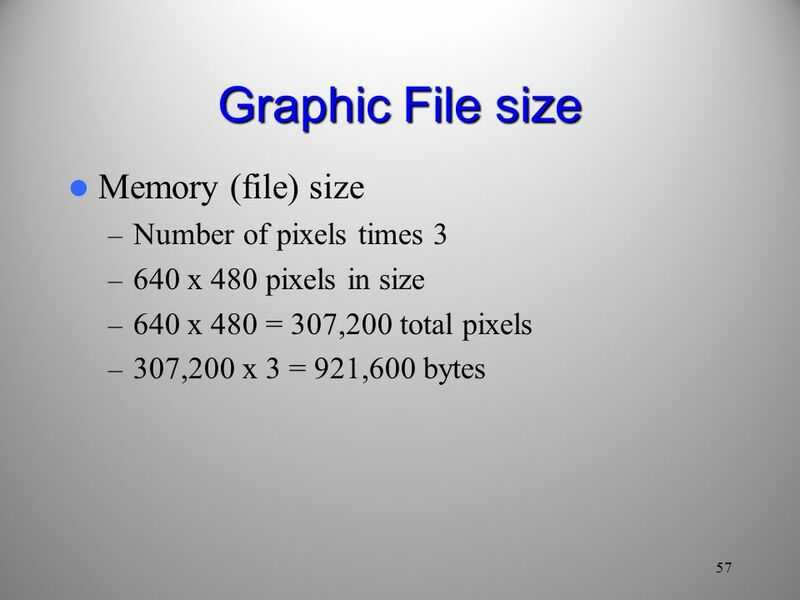 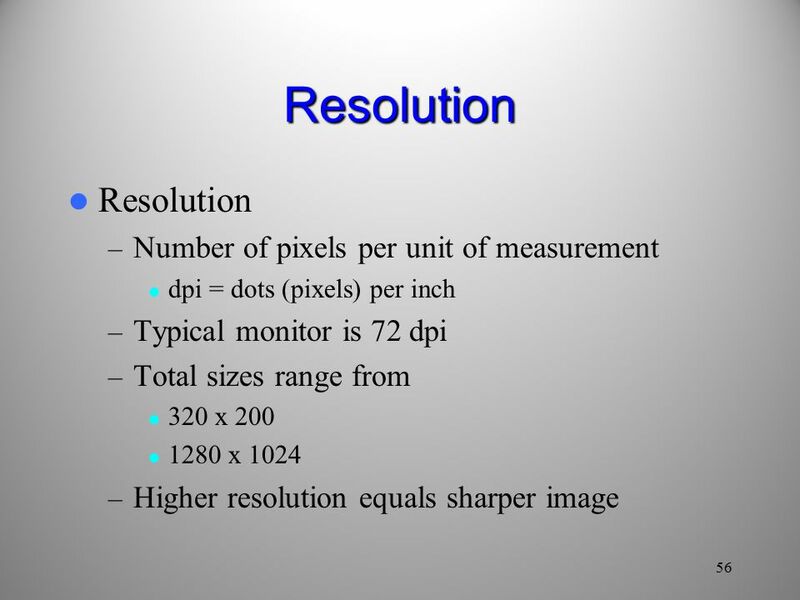 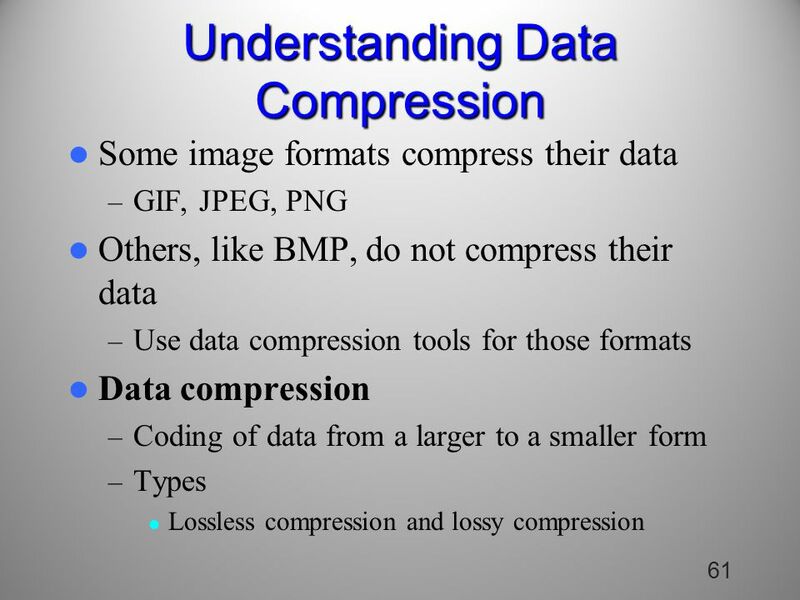 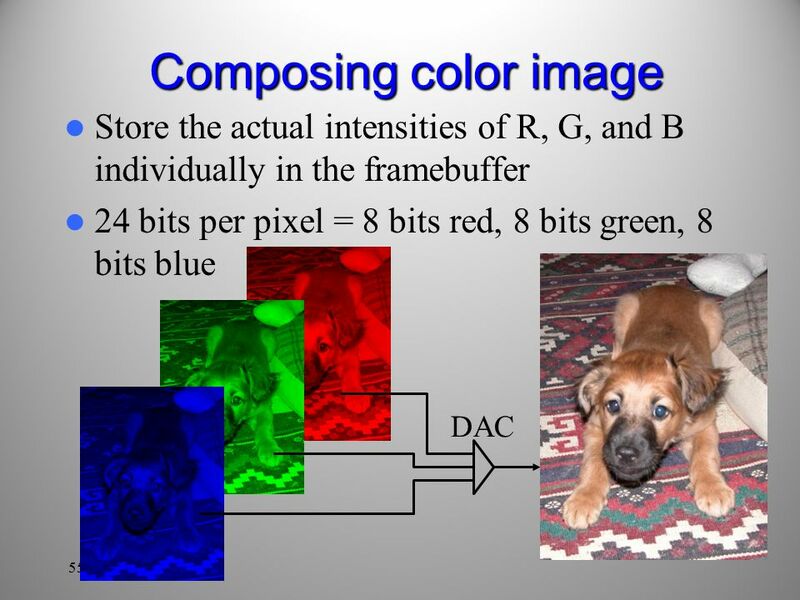 Explain data compression and calculate compression ratios. 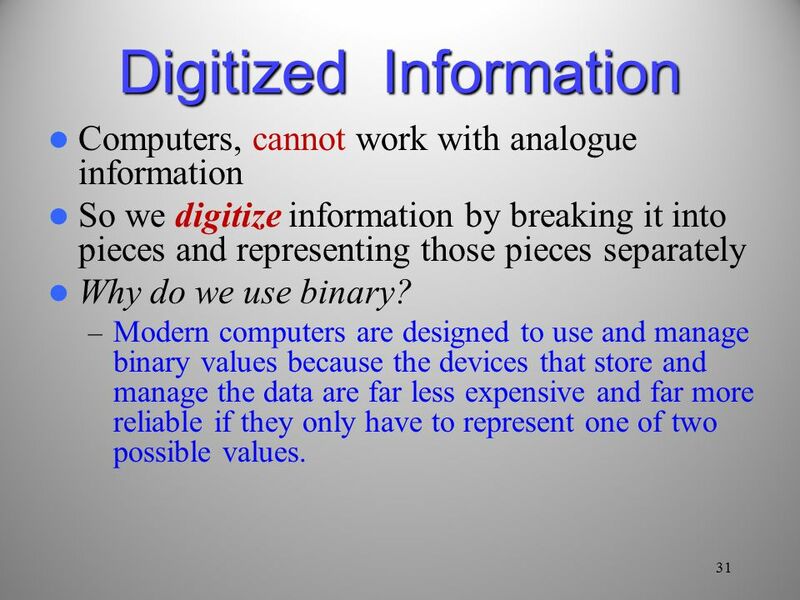 March 2006Taner Erig - EMU2-1 Metamorphosis of Information How is information represented and how do computers store information? 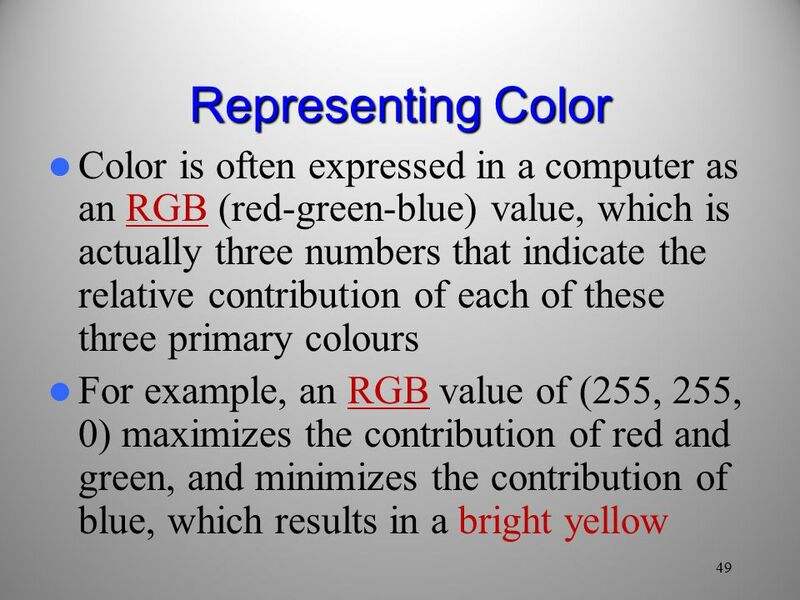 1 A Balanced Introduction to Computer Science, 2/E David Reed, Creighton University ©2008 Pearson Prentice Hall ISBN Chapter 12 Data. 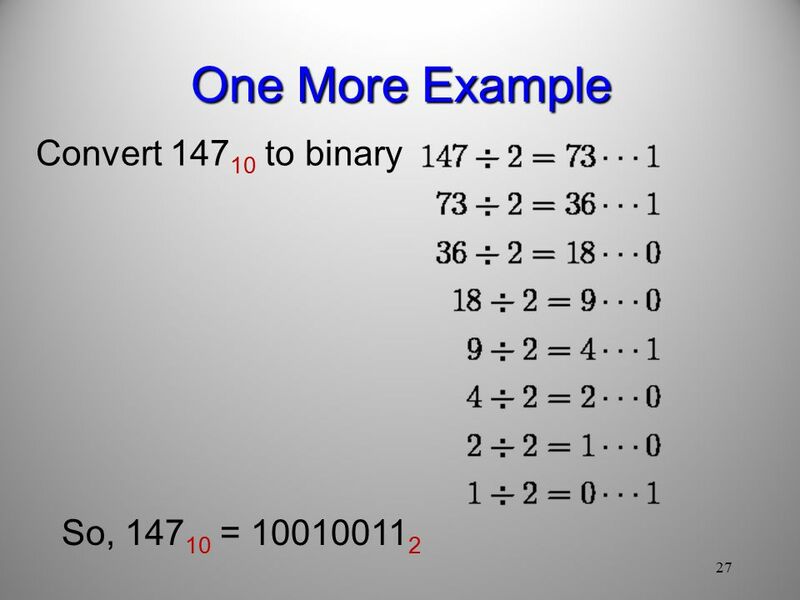 SIMS-201 Representing Information in Binary. 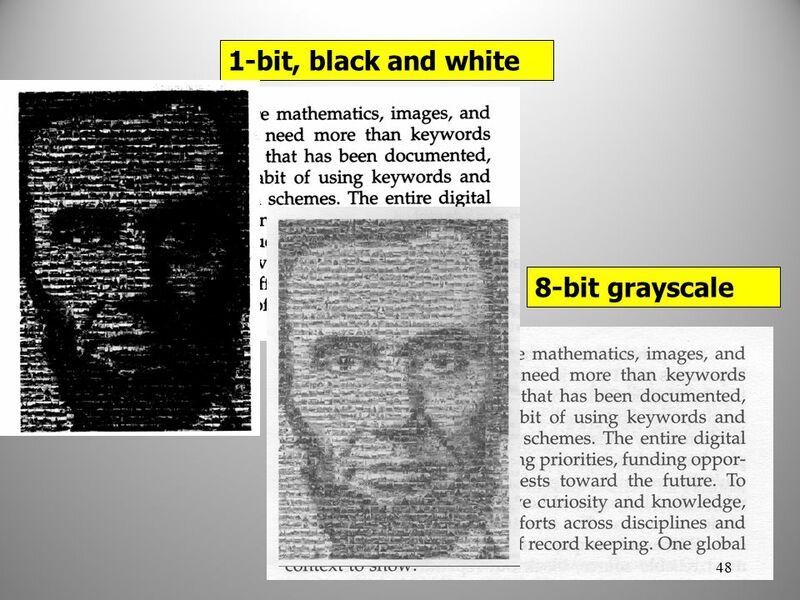 2  Overview Chapter 3: The search for an appropriate code Bits as building blocks of information Binary. 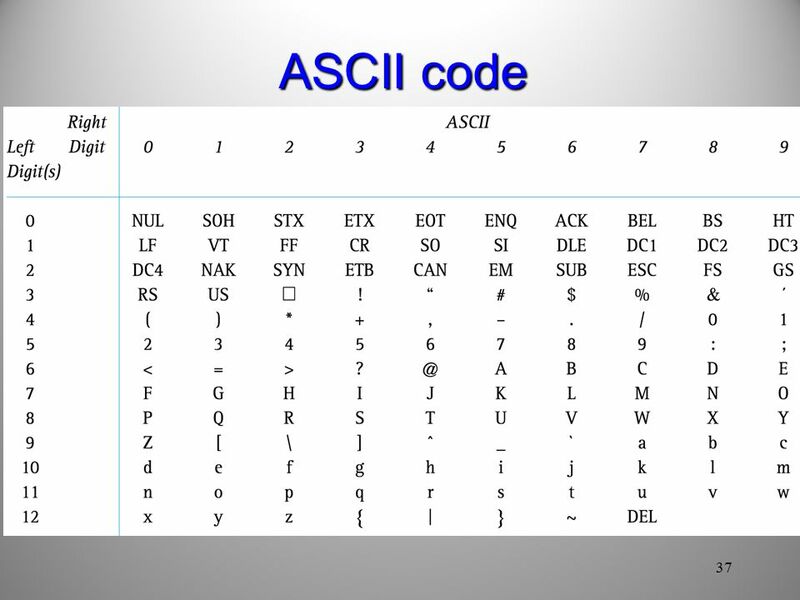 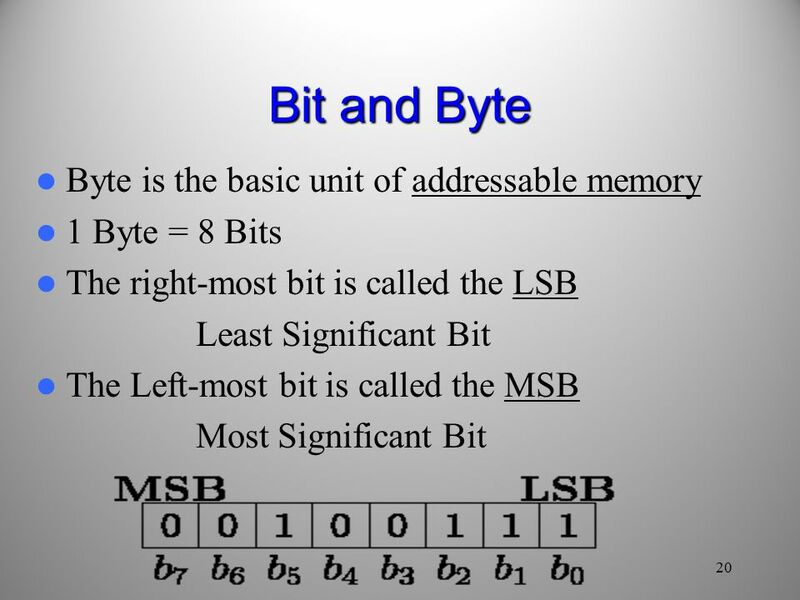 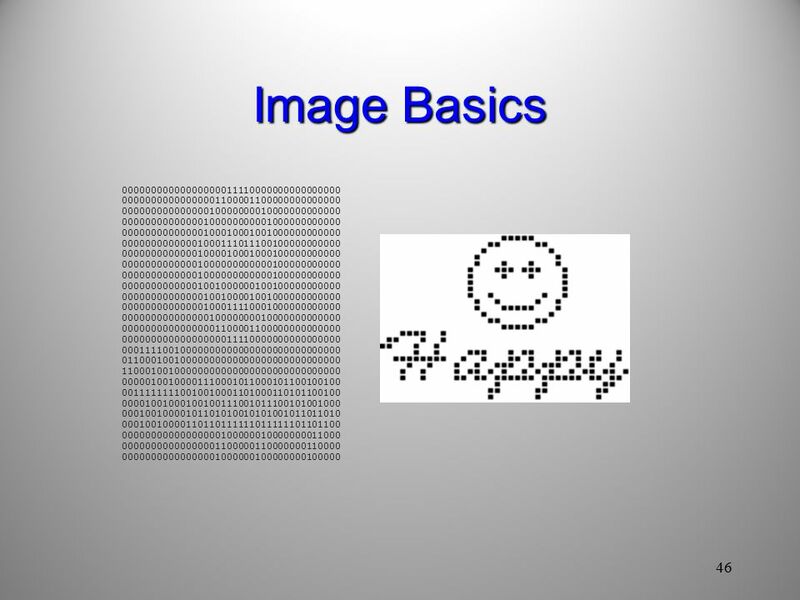 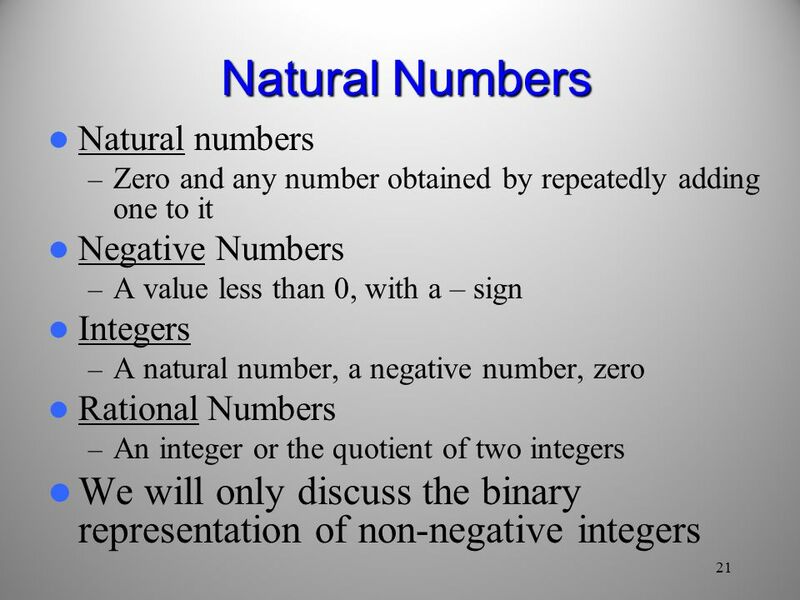 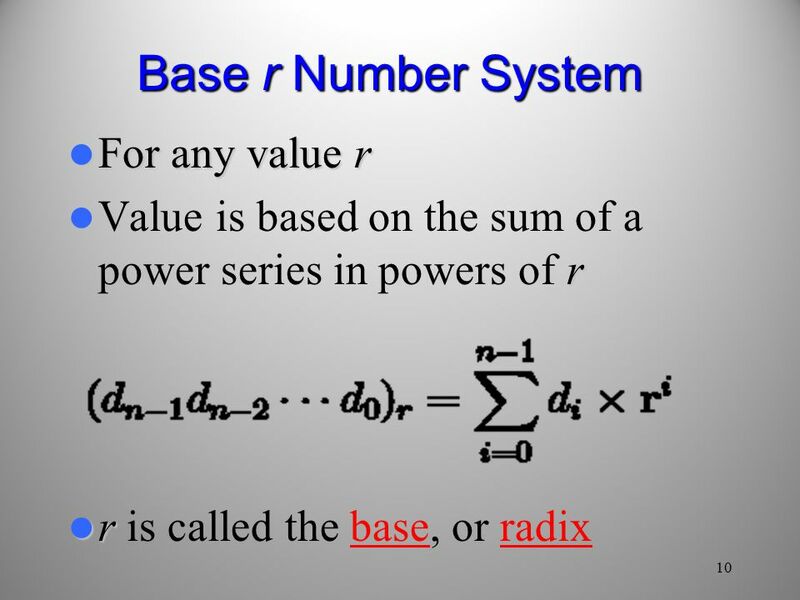 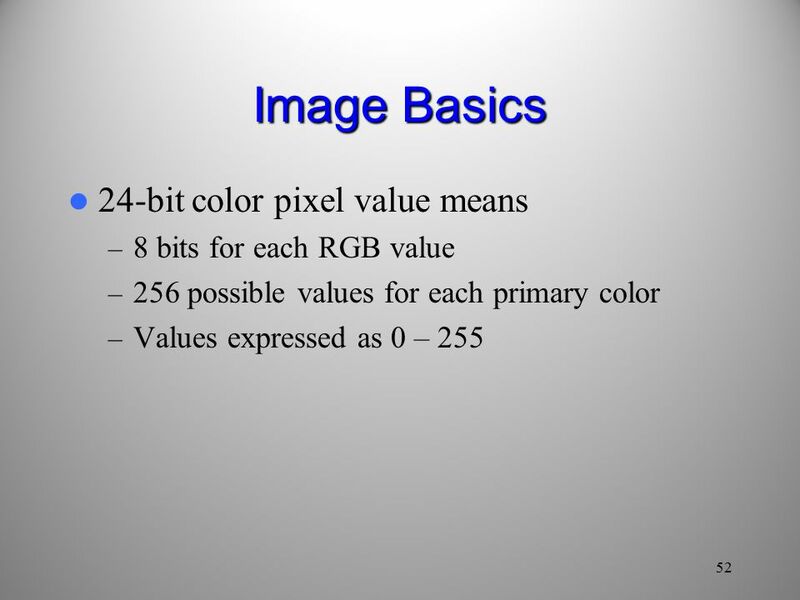 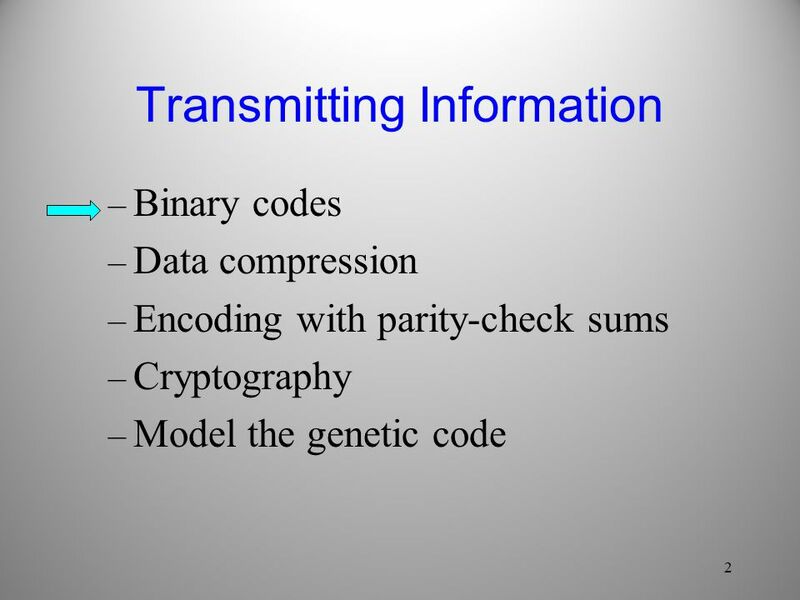 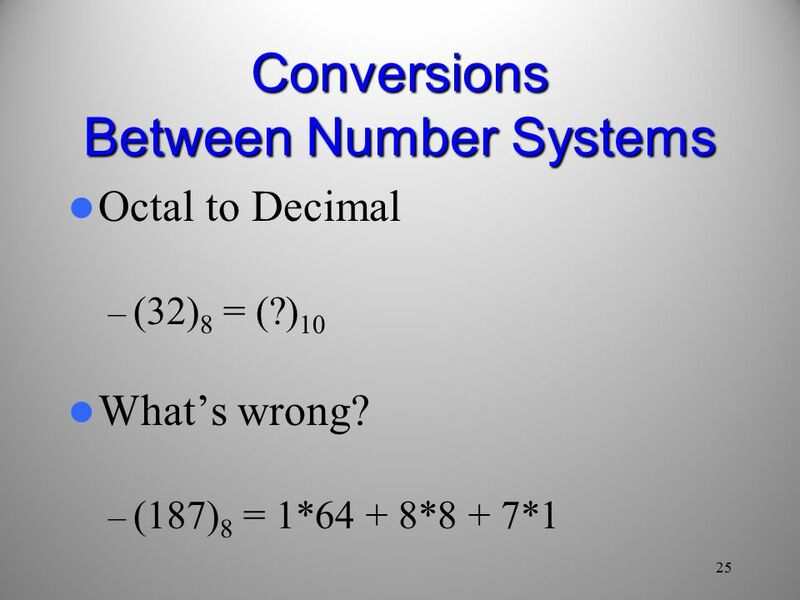 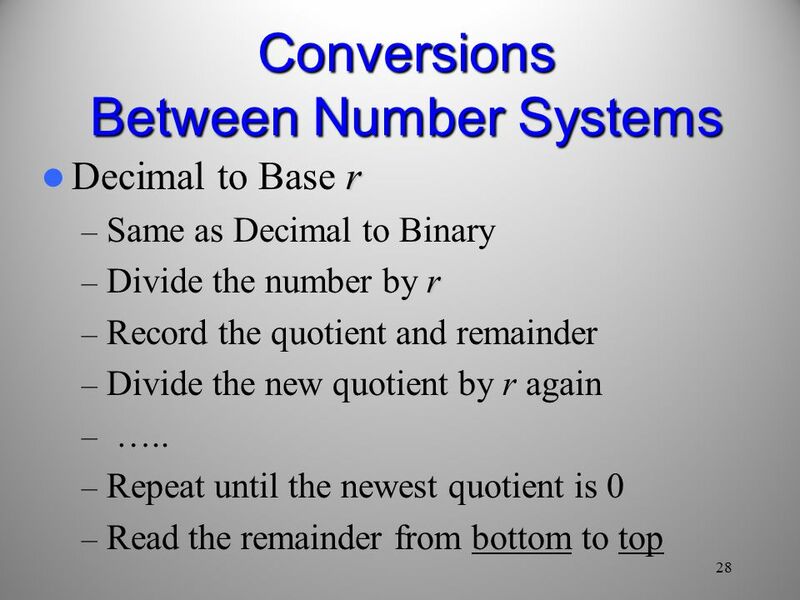 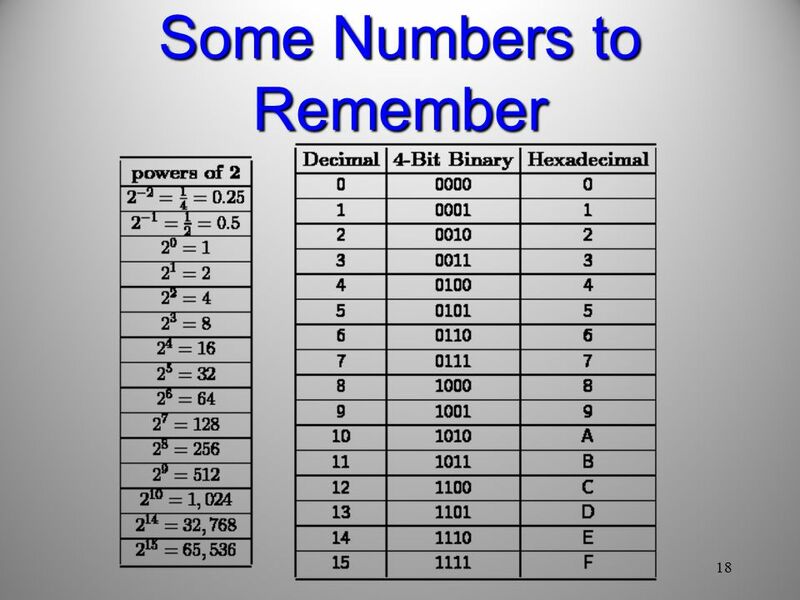 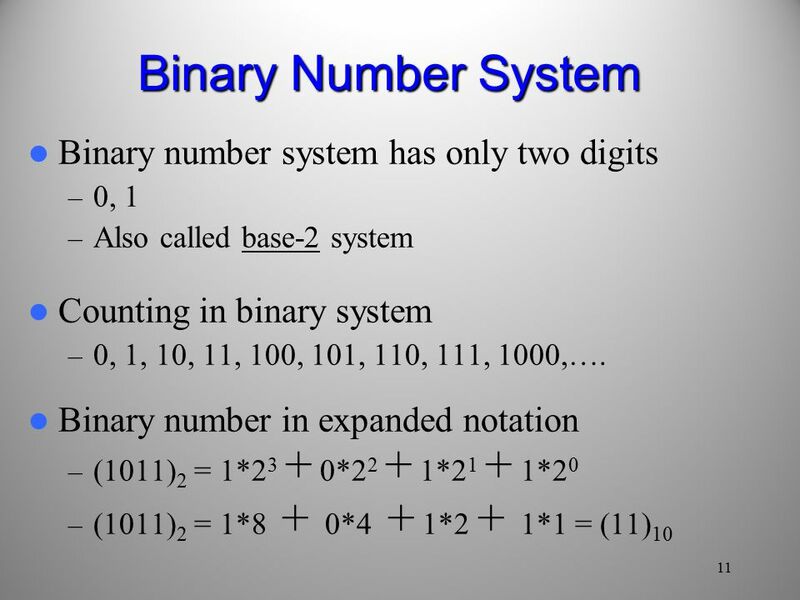 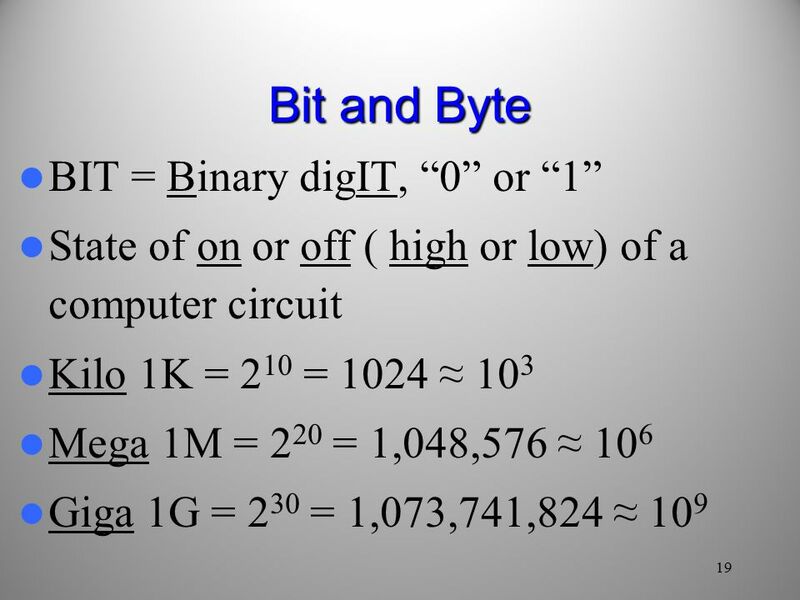 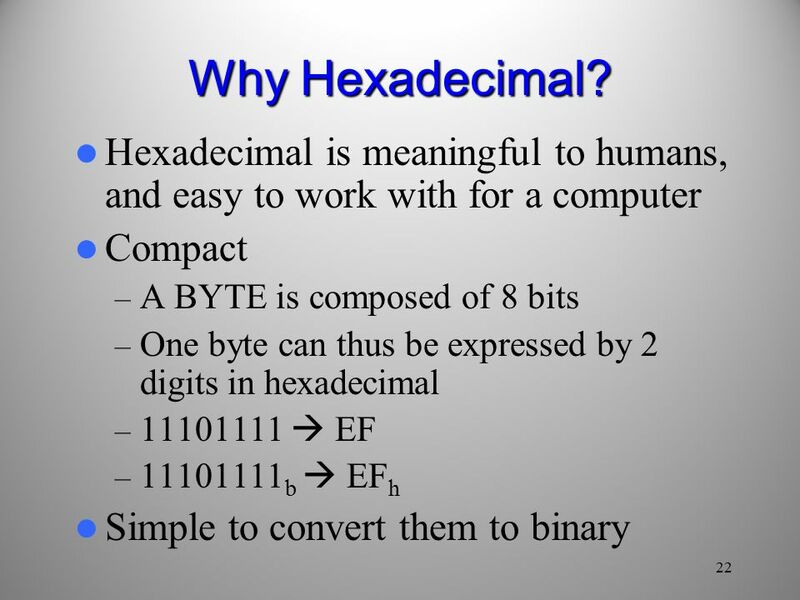 CISC1400: Binary Numbers & Computer Fall 2011, Dr. Zhang 1. 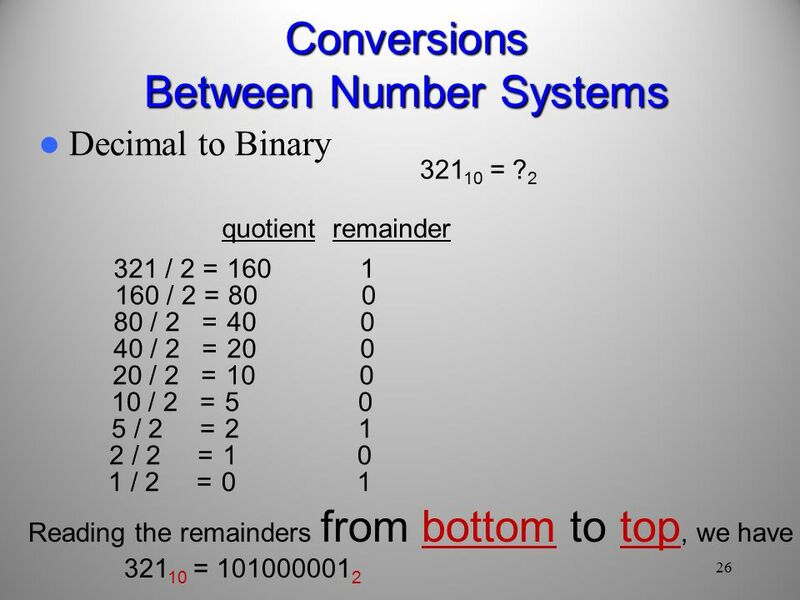 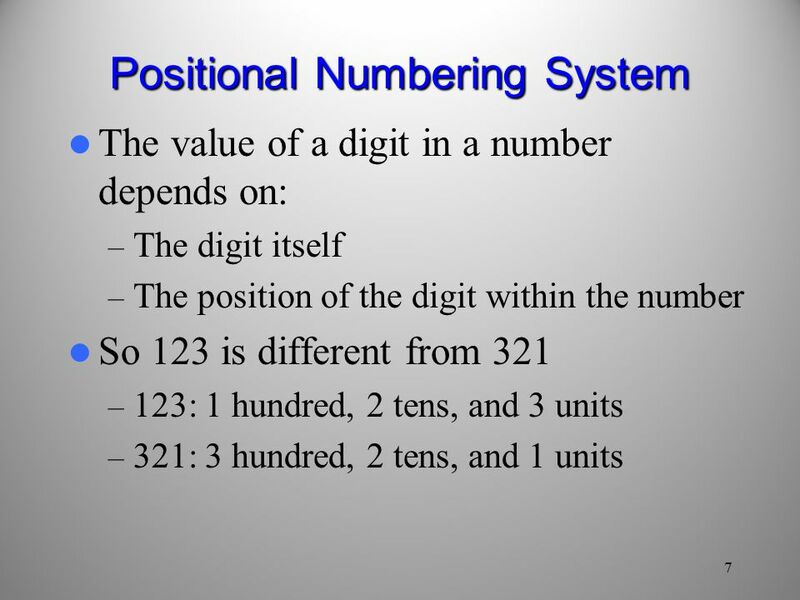 Connecting with Computer Science 2 Objectives Learn why numbering systems are important to understand Refresh your knowledge of powers of numbers Learn. 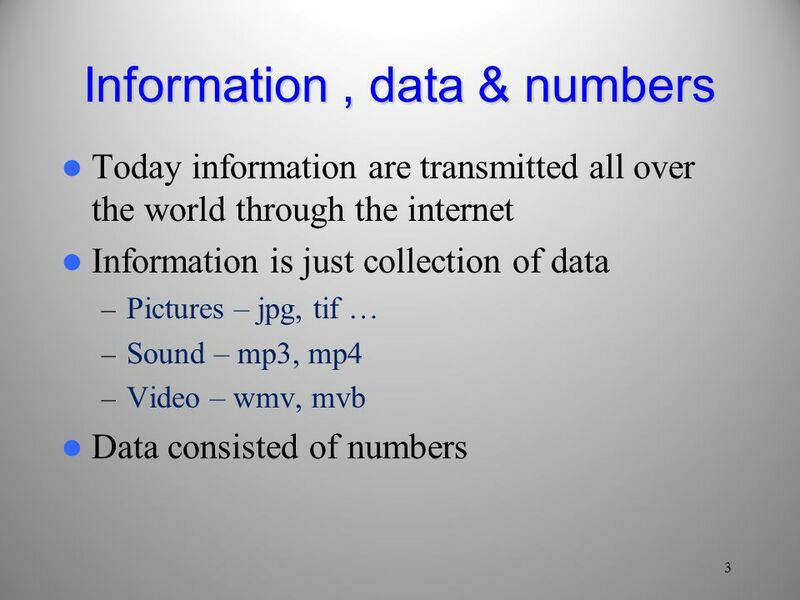 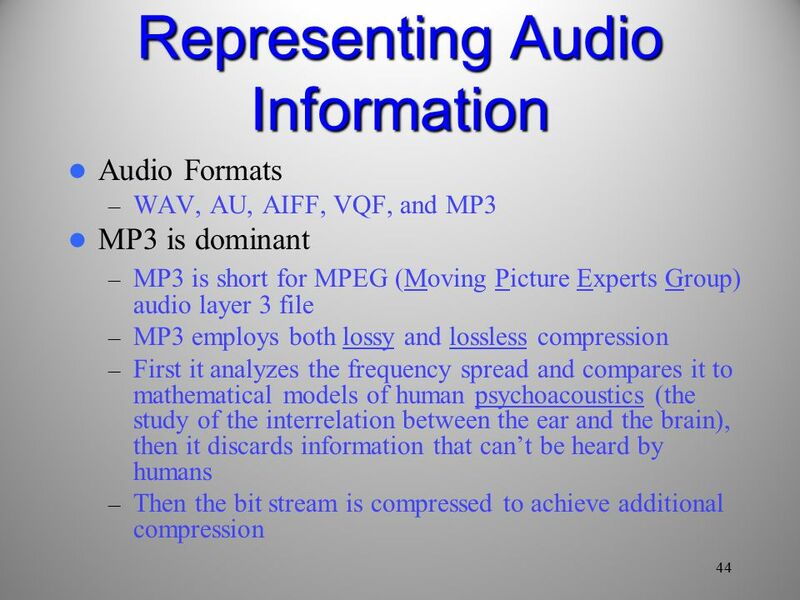 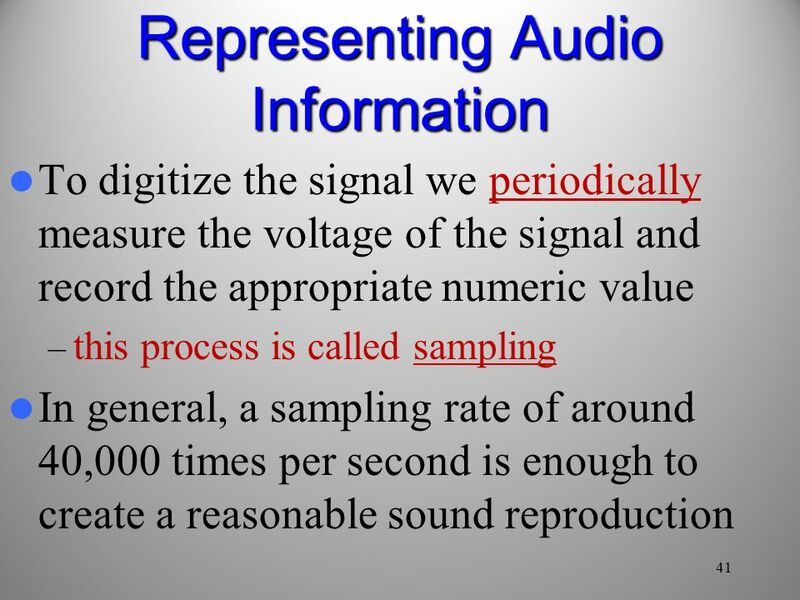 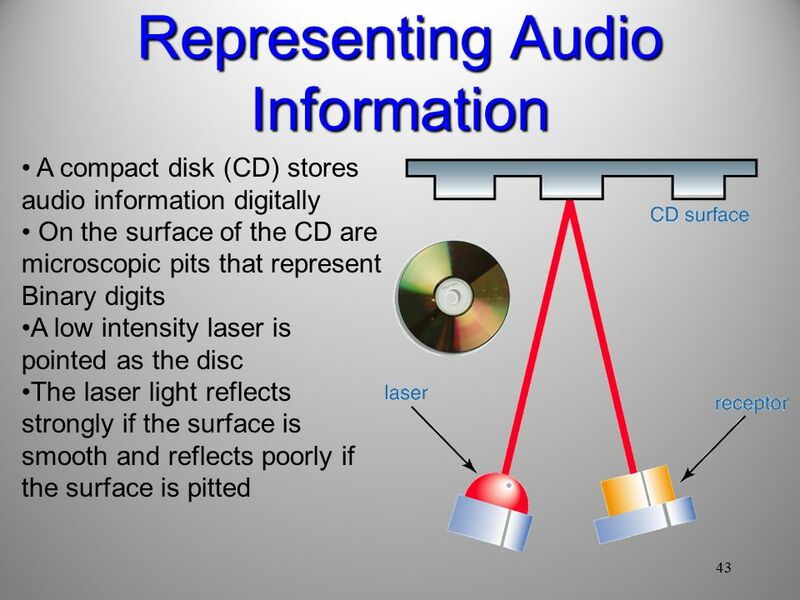 Software Design and Development Storing Data Part 2 Text, sound and video Computing Science.